An affiliate program allows one website to refer visitors to another website that is selling a product and get credit for any product that is purchased on that website from the referred visitors. So, in the case of our affiliate program, you link to our product from your website, and we pay you a commission from each sale from the visitors you send us! To sign up for our program simply fill out the application form. You will be asked to read and agree to our terms and conditions before your application can be submitted. We will review your application and if accepted, you will receive an e-mail notification with your login information. Once you have that e-mail, you can log-in and start creating links, get HTML code for our images, and using our other content and tools to start earning money selling our products. Why should I sign up for your program? 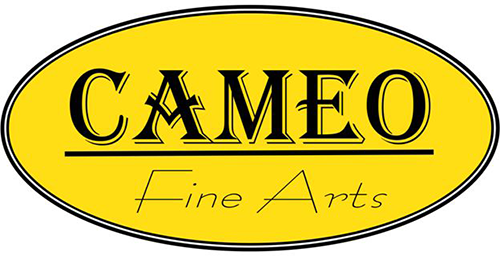 First, your customers will benefit from Cameo Fine Arts cheap products by being able to better run their business. Second, you will make commissions for the referral. Your visitors will be thrilled that they got such a helpful referral from you! It makes you look great and earns you cash. The standard commission rate is currently 10% of the sale amount from each customer referred using your affiliate code. We pay all accrued commissions over $200 once per month electronically via Cheque, PayPal or Bank Transfers. We provide example link types, banner ads, button images, text links, e-mail copy, testimonials, suggestions on how to best sell our services, links to top-performing affiliates for examples, an affiliate newsletter, links to affiliate resources on the web, articles you can use on your site, and more. Can I get a commission for referring new affiliates to your program? Yes. We offer a 0% second-tier affiliate commission when you refer a new affiliate to our program. How do I link to your site once I'm an affiliate? After you sign up and are accepted, you will be able to log-in and see examples on how to link to us. It's very simple. No, it's a free program. Do you pay commissions on all of your products? We pay a commission on every sale listed within our commission schedule (available from the affiliate control panel on approval). After you have been accepted into the program, you will be able to log-in to the Affiliate Center and see your sales and commission results. You can also choose to receive e-mail reports for each sale made. We provide content for you in the Affiliate Center. You may not republish duplicate content from other areas of our website. Can I join your affiliate program if I am outside the New Zealand? Yes, we distribute our products to New Zealand only however we have many international affiliates.